Managed PKI (Public-Key Infrastructure) Service. Managed PKI for your organizations to issue, renew, and revoke digital certificates. Managed PKI Service (MPKI Service) is a globally-trusted cloud based service that enables organizations to issue, renew, and revoke digital certificates used to power strong authentication, encryption, and digital signing applications. With Managed PKI Service, organizations can securely authenticate users, restrict access to confidential information, and verify the integrity or origination of sensitive documents and emails from all devices. Providing this level of trust-based security enables organizations to facilitate tighter integration with business partners, protect data on managed and unmanaged devices, ensure business continuity, and maintain compliance with government and corporate regulations. Security solutions based on digital certificates are particularly well-suited in addressing these business needs. Strongly authenticate individuals accessing sensitive information via a web-based application or extranet portal. Support mobile platforms such as iOS and Android devices while maintaining secure access to enterprise resources without sacrificing the mobile user experience. Roll out a Mobile Device Management (MDM) solution for managing enterprise mobile devices. Deploy certificates to mobile devices and desktops to strongly authenticate employees and partners to a wireless network or VPN. Protect electronic documents from tampering and assert their origination as part of replacing paper-based business processes. Encrypt and sign communications to prevent phishing and protect sensitive information from unauthorized access. 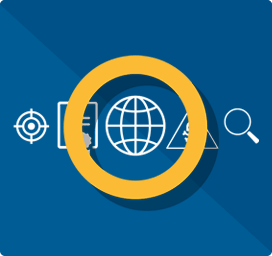 Managed PKI Service delivers a globally-trusted, cloud-based service that an administrator can configure and monitor from any modern web browser. Backed by 24 hours a day, 7 days a week, 365 days a year monitoring, management, and escalation across the globe with full disaster recovery; and certified annually by third-parties: SSAE 16/SOC 2, WebTrust, and specialized government audits. 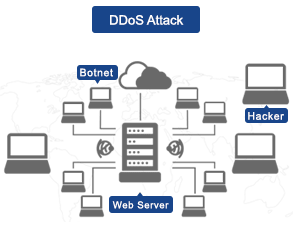 Managed PKI Service issues X.509 certificates that interoperate with a wide variety of operating systems, devices, VPNs, mail, and web browser software. Certificate profiles for common applications are included to enable strong authentication, email encryption and signing, and Adobe PDF signing. Managed PKI Service provides the essential capabilities needed to deploy and use certificates on devices without requiring inconvenient usernames and passwords. Support for profiles on iOS mobile devices enable simple enrollment and automated client configuration. Equivalent functionality is available via Symantec PKI Client for android, mac, and Windows devices. Managed PKI Service automates the configuration of common authentication, encryption, and signing applications across multiple platforms and browsers. Using PKI Client, automatically configure a user’s browser, VPN client, mail client, or other application to use certificates issued by the MPKI Service. PKI Client also automates the process of renewing certificates, preventing expired certificates from interrupting business continuity. Integrate Managed PKI Service with a corporate directory (using the included PKI Enterprise Gateway) to automatically populate certificate meta-data, select and enforce certificate and application policies, and publish issued certificates. 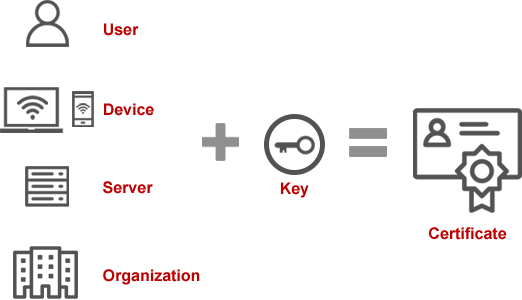 PKI Enterprise Gateway also functions as a local registration authority and integrates with hardware security modules to protect key material. MPKI Service takes a cloud-based approach that dramatically lowers the cost and complexity of PKI by eliminating facilities, hardware, software, personnel, training, and maintenance expenses associated with deploying traditional in-house PKIs. With our MPKI Service offering, organizations can deliver new security applications quickly and easily with no up-front capital investment. MPKI Service eliminates administrator tasks, and automates the process of provisioning certificates and configuring applications to use those certificates. thus, delivering time-sensitive security projects with less IT or end user intervention. On mobile devices, user certificate enrollment, delivery, and installation are simplified with MPKI mobile-aware certificate service or through integration with the leading MDM solutions. MPKI Service enables a higher degree of responsiveness to meet evolving business strategies, and preserve existing investments. Organizations can deliver multiple certificate-based security applications from a unified platform and tailor the deployment to meet their needs. Choose a completely cloud-based deployment for simplicity, or deploy on-premise components to enable additional enterprise integration and automation. These options can be mixed-and-matched within an environment to deliver maximum flexibility. Managed PKI Service is the longest running commercial cloud-based certificate service in the world, with proven and time-tested experience enabling PKI applications. MPKI Service provides the unparalleled reliability required to scale multiple certificate-enabled applications from a few users to millions from a single, flexible platform. The cloud infrastructure is designed to support the issuance and management of over 100 million certificates per year; so IT can focus on delivering security solutions that provide real business value, instead of maintaining PKI infrastructure.